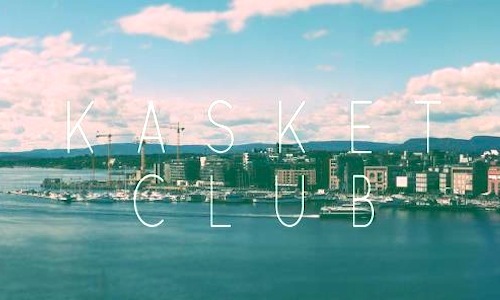 Formed in June 2012 (only a couple of months ago really), Kasket Club is the musical pairing of Thomas Vesseltun and Tobias Gautier Telgien, two friends who share a common passion for synthey melodies and chilled-out beats. The Norwegian duo released their first track “White Nights” via SoundCloud on June 25th, quickly followed by two more tunes, and now they are ready to share their five-track debut EP. Featuring acoustic instruments and smooth synths delicately wrapped in electronic beats, this EP provides just over 17 minutes of pure chillwave delight.